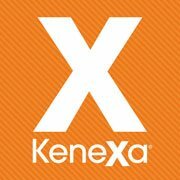 Kenexa is in the business of improving companies and enriching lives because to us, business is personal. We improve companies by enriching lives and we enrich lives by improving companies.With every person we recruit, every assessment we administer, every technology solution we deliver, every survey we conduct, every leader we develop and every compensation strategy we support, lives are impacted by our craft. Very few companies, if any, can claim this—and we’re proud of that. The candidate should be any Science graduate from a reputed university. Should have 1-2 years of solid experience in semi client facing/technical support role or any configuration related profiles. Should be excellent in verbal, written English communication and documentation skills is a must. Should have basic Knowledge in xml/xsl. Should have knowledge on software project management, Software Development Life Cycle, defect life cycle and software process metrics. The candidate should have experience in gathering, analysing business requirements. As an Engineer- Trainee, the candidate will configure 2x Platform products for all the new Implementations, live clients and demo sites for prospect clients. To communicate with internal and external clients as in when needed. Analyses requirements, suggests solutions to Project Managers/Sales Team on the product configurations, branding, integrations and data export/import. Effectively prioritizes and executes tasks in a high-pressure environment with a strong customer service orientation. Successfully works on multiple concurrent projects. Interested and eligible candidates apply this position in online as soon as possible(before the link expire).